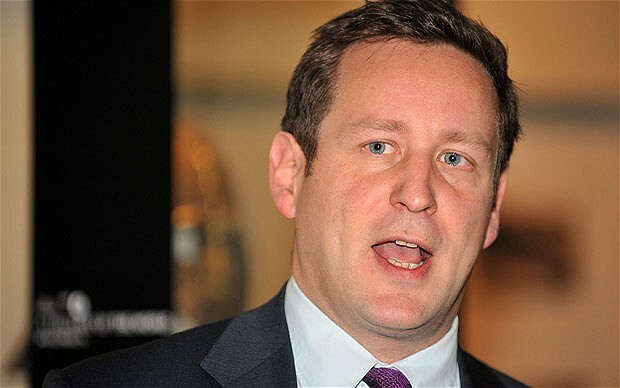 Culture Minister Ed Vaizey has insisted there is "no question" of the three under-threat Northern museums closing. The Science Museum Group (SMG) had caused an outcry last week when it said that the National Railway Museum in York, the National Media Museum in Bradford and Manchester's Museum of Science and Industry were at risk due to budget cuts. But Vaizey has now moved to reassure the museums, which had all been the subject of local campaigns to prevent their closure. The SMG, which also runs the Science Museum in London, had suggested it would be difficult to keep all of its museums open if it faced a 10% cut in the government's comprehensive spending review. But Vaizey said: "They [the SMG] asserted if there was a certain level of cuts they would have to look at closing one. "They are not going to receive that level of cuts so there is no reason why any of these museums should close. "Let's not beat about the bush - they won't close." Manchester Withington Lib Dem MP, John Leech, said: "I do think there was a bit of bluster from the Science Museum Group to try and ensure they didn't get the sort of budget reduction that could have been potentially on the table. "I am not sure how serious the science group ever were about closing the museum, or whether it was all about making sure they got a decent budget settlement - or possibly dipping their toe in the water about trying to charge for entry." The Labour MP for York Central, Hugh Bayley, added: "All the campaigning and all the warnings sent to the government that it would be an act of cultural vandalism if one of these museums were to close appears to have been heeded." The SMG has not yet commented on the meeting and is not expected to do so until its level of future funding is announced by the Chancellor next week. Shipley MP Philip Davies, who met Vaizey with other Bradford MPs last night, said: “We had a very positive meeting and Ed Vaizey said he saw a bright future for the museum and it was not on his agenda for it to close.